That’s the kind of appeal that Jill Stein of the Green Party is making in 2016 to Bernie Sanders supporters who are chilled at the prospect of voting for Hillary Clinton. More than in most presidential cycles, there is reason to hope for a mass breakaway in 2016. Sanders’ campaign has revealed that a mass base exists now for an independent party of the left. For decades, public opinion polling has shown majority support for policies like universal public health insurance, fair trade, higher minimum wages, paid family leave, expanded Social Security benefits, Wall Street regulation, renewable energy, infrastructure spending, public campaign finance and progressive taxation. Sanders’ campaign has now demonstrated that millions of people will vote for a candidate advocating a progressive economic policy platform. The campaign is helping this quiet majority find its voice in the electoral arena, especially among its younger cohorts, which bodes well for the future. Sanders’ campaign has also revealed that the 99% has the capacity and willingness to fund the campaign with small contributions from millions of people at a scale sufficient to compete with the big contributions of the 1%. Sanders has not raised as much as the corporate-funded candidates when SuperPAC and 501c4 “dark money” funds are included. But it is enough to reach to the voters with a ground war of field organizing and a sizable air war of campaign ads. The people and the money are there. The question for the independent left is how to draw this base out of the Demo­cratic Party. Too many on the left overthink this question with all kinds of proposals for transitional formations that try to work both inside and outside the Democratic Party at the same time. That has been tried many times in many forms, and now many Sanders supporters are going to try again. All previous reform Democratic movements have ended up neutralized as agents of change inside the Democratic Party. The price for entry inside to party committees, campaign organizations, and primary ballots and debates is to forswear outside options. That is the price Sanders paid to get on the ballots and debates stages of the Democratic primaries. I think there is a simpler and more straightforward way to draw progressive Democrats to an independent left party: Build it and they will come. A mass breakaway from the Democratic Party has to have somewhere viable and strong to go. When there is a critical mass of effective local and state independent left parties, progressives in the Democratic Party will see independent politics as a practical option. Until we do that, most progressives are going to keep voting defensively for socially liberal but corporate and militarist Democrats in order to stop the even worse socially reactionary corporate militarists of the Republican Party. With a McClatchey poll in April finding that one in four Sanders supporters were unwilling to vote for Clinton, the independent left has a big opportunity in 2016 to enlist significant new forces for independent left politics. The immediate step is to encourage these Sandernistas to enlist in the Green Party campaign of Jill Stein. To one degree or another, the Stein campaign will continue to raise Sanders’ demands — and more — in the general election. But whatever degree of influence the campaign may achieve in the 2016 political debate, there is also the longer lasting and very practical objective of securing ballot status in more states. That will lay the basis for future local races for municipal, county, state legislature and congressional races where the “political revolution” can continue, with independent progressive candidates using Green ballot lines to be shape the debate and quite possibly win office. The Green Party started the campaign with ballot lines in 21 states. It expects to be on the ballot in over 40 states representing upwards of 85% of the electorate. Successful lawsuits in which the Green Party participated in Georgia, Oklahoma and Pennsylvania have lowered petition requirements in those states significantly this year. Adding Georgia to Green ballot lines will be an important advance in the South for left politics. North Carolina now has the highest petitioning requirement in the nation of 89,366 signatures. The Greens are hard at work petitioning there, at least to strengthen the basis for their lawsuit against unfair ballot access requirements. The Green presidential vote can secure or retain ballot status in 25 states for between one and five percent of the vote (0.5% — NM; 1% — CO, CT, GA, MD, OR, WI; 2% — CA, IA, KY, MO, NC; 3% — AK, AR, ID, MA, OH; 5% — IL, LA, MN, NE, ND, TN, TX, WA). A five percent share of the national presidential vote would qualify the Green Party for about $10 million in public funding for the 2020 presidential election. If the Democrats are roughly half of the national electorate and Sanders is roughly half of the Democratic electorate, then if 20% of Sanders supporters vote for Jill over Hillary, the Green vote would be 5% of the national electorate. Qualifying for public funding, as well as increasing Green ballot lines, are practical goals that are within reach and worth shooting for. The next step beyond 2016 is to transform Stein campaign committees that are not based on Green party organizations into local parties that will be active on local issues and run independent candidates. A mass party on the left will not be started by a big national founding conference. That will be the final step in bringing together a third party movement that is built town by town, city by city, county by county, and state by state. The Greens, other left third parties, and indeed, Bernie Sanders career before this year, all show that this can be done and replicated at the grassroots across the country. 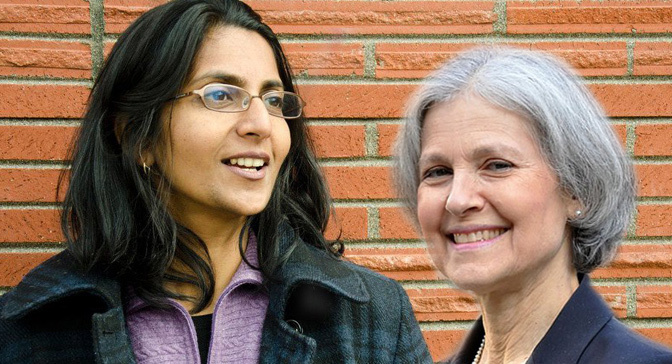 Most third parties that have been successful have been in areas with a large progressive middle class based in the well-educated “helping professions” such as teachers, social workers and nurses in university towns (Madison), liberal cities (Kshama Sawant in Seattle), liberal states (Vermont Progressive Party), and most of the cities and towns where more than 100 Greens hold office across the country. This demographic has been the core of Green support in Europe, which mobilized around peace and environmental issues when the social democratic left was wrong on those issues and moving rightward on economic policy in the neoliberal era. U.S. Greens have also shown they can fill the red void left in the absence of a labor party in the United States, as well as the green void left by the anti-environmental and militarist Democrats and Republicans. In Richmond, California as part of the Richmond Progressive Alliance, Gayle McLaughlin since 2004 has served as a Green city councilor and mayor in a working-class city with over 80% people of color, defeating corporate Democrats heavily funded by Chevron, which has a large refinery in town. My home town of Syracuse is a working-class rust belt city where, as in most cities, real estate interests rule through a “business-friendly” Democratic machine. Due to virulent race and class segregation, Syracuse has the highest concentrations of Black and Latino poverty, and the fifth highest concentration of white poverty, of all U.S. metropolitan areas. No Greens have won office here, but I received 48% in a 2011 city council race and in 2015 the five Green candidates for city offices all received between 25% and 35% of the vote. 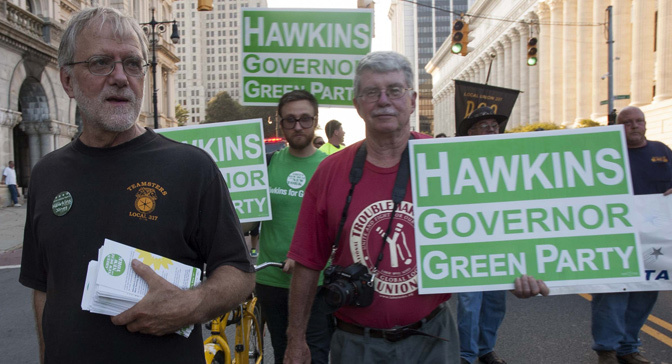 The Greens here are now the city’s second party, the strongest opposition to the Democrats. The structural obstacles to third parties — winner-take-all, nonpartisan local elections, restricted ballot access, private funding, corporate media, inherited major party loyalties — are real. But they are nothing that a relatively small core of activists cannot overcome. The successful third party efforts around the country prove that. Indeed, we can turn some of these obstacles to our advantage. Nonpartisan elections were promoted by corporate municipal reformers in the early 20th century Progressive era to undercut Socialist Party advances as well as corrupt major party machines. They wanted to depoliticize local politics in favor of technocratic efficiency for governing on behalf of “modernizing” business interests. In nonpartisan elections today, traditional major party loyalties become less of an obstacle. It is in nonpartisan elections that Kshama Sawant, Gayle McLaughlin, and most Green Party candidates around the country have won office. Today 27 states have nonpartisan local elections. In eight more, it varies by county. In the 23 states and D.C. with partisan local elections, most election districts are effectively one-party districts due to partisan gerrymandering of safe seats. In most of those election districts, the major party in the minority does not seriously compete. That leaves the field open to a left third party to quickly become the second party in that district, the major opposition party seeking to become the first party. 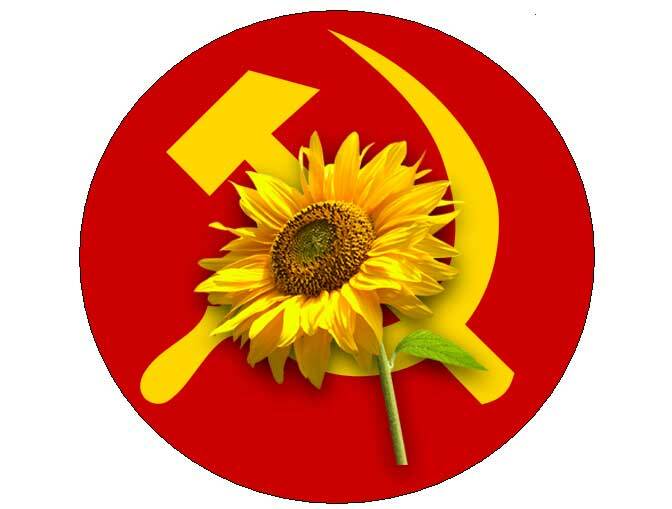 Socialists often provide key leadership in labor, community, peace and environmental movements. They should now do the same in building local independent political parties that give those movements’ demands uncompromising expression in elections. Some socialists object that the Greens, or the Vermont Progressive Party, or Progressive Dane have progressive populist agendas that are not explicitly socialist. I would remind them that Marx and Engels counseled their socialist followers in the United States to work inside the farmer-labor populist parties of their era because they had taken the key step — class independence from the capitalist parties. That experience fighting the capitalists for immediate reforms would open them up to fully socialist perspectives in good time. There is no more receptive audience to socialist thinking today than among the third party activists who are fighting the capitalist parties on the issues, and for their very right to run independent candidates against them. One perspective that socialists could advocate that would be especially helpful in building a third party movement is a mass-membership party structure based on dues-paying members organized into local party affiliates. That invention of the labor and socialist left in the 19th century created working people’s parties that had the money and organization to compete with the top-down capitalist parties funded by the rich to represent them. The Greens got away from that structure as they started securing ballot lines in the late 1990s and adopted the same structures as the Democrats and Republicans, which are adapted to primary elections where candidates are pre-selected by corporate funders and then offered to atomized voters who have no local organizations where they could discuss issues, choose leaders and nominate candidates. A network of local parties built on this mass-membership party structure won’t be a mass party at the outset. But it will have the funding, organization and locally elected officials to provide a realistic refuge for progressive Democrats whenever, as this year with the Sanders campaign, the differences between progressive challengers and entrenched corporatists in the Democratic Party become too sharp for progressives to continue tolerating.